If you’re not out front in pig genetics, you’re bound to be left behind. Often, progress means being in the right place at the right time. With that in mind, the timing was perfect for the new Bon Accord nucleus facility in Ituna, Saskatchewan, Canada. Hypor’s commitment to research and development is second to none, and this operation is a prime example. Most notably, the 1200 sow farrow-to-finish site offers excellent biosecurity. 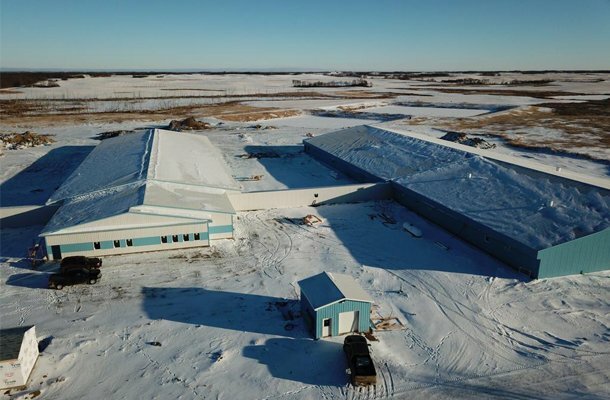 Hypor has run nucleus breeding farms in the general area for the past 34 years without a health break, and this barn maintains that tradition. From a genetic improvement perspective, biosecurity is important as it ensures a stable environment over time that our animals can be evaluated in with no risk of biases created by health breaks. To truly excel at R & D, it’s vital to always keep one eye on the future. 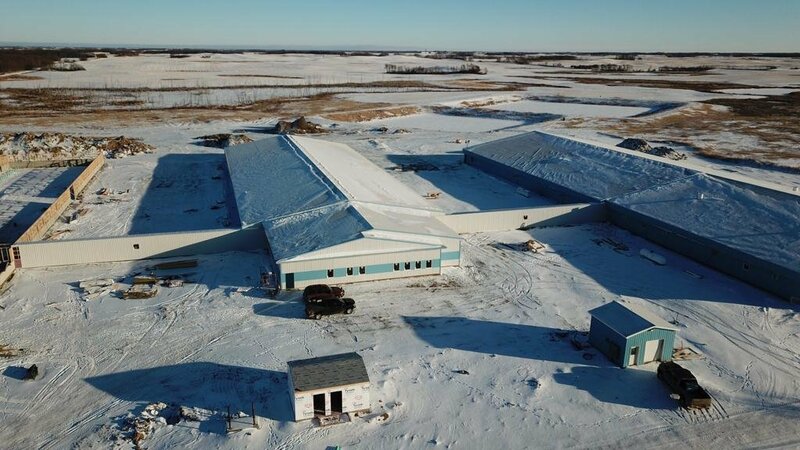 For the pork industry, that future revolves around group housing, and the focus at Bon Accord reflects that. Bon Accord will house only maternal lines (Large White and Landrace), and longevity is a trait of great significance in maternal lines that has strong correlation with feet and leg structure. 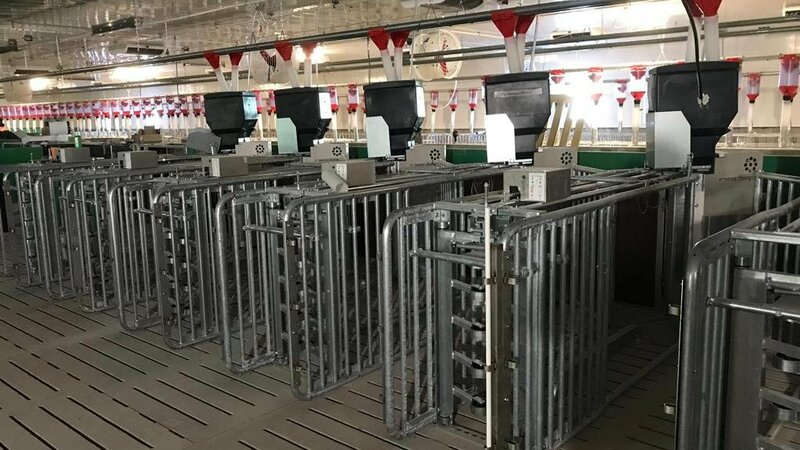 With this new facility, Hypor will have a substantial number of sows in their maternal nucleus population selected in the group housing system, allowing for better evaluation of physical soundness. Of course, one of the key drivers of genetic improvement is diversity, and achieving that diversity requires a large population size. Having Bon Accord will enable us to push our nucleus breeding population by 1200 sows and, in doing so, create room for diversity and the opportunity for improvement. Further boosting that improvement will be the very latest technology to maximize the accuracy of measurements and allow for novel measuring activities such as animal phenotyping and the recording of environmental parameters. For example, the site has the capability to install sensors which record temperature – both ambient and animal – as well as air quality. Additionally, there will be more automation in the collection of data needed for animal evaluation, further enhancing the phenotyping precision. As always, the theme of Total System Profitability has been a guiding principle in design of the facility and its support of research and development. In the rapidly evolving world of pig genetics, leading the pack in research and development might not be everything. But compared to bringing up the rear, it’s more exciting, more profitable, and offers a much better view.